Eagle Plumbing is a full service plumbing company that is located in the Bryan and College Station, Texas, area. Gus Heinze, owner, is a licensed master plumber and is qualified to repair any plumbing problems you have in your bathroom, kitchen, or outdoors. He can also repair or install your hot water heater as well as kitchen and bathroom appliances. When you are looking for a plumber in College Station or Bryan, you can depend on Eagle Plumbing. A dripping faucet can increase your water bill. Call Eagle Plumbing to make the necessary repairs. 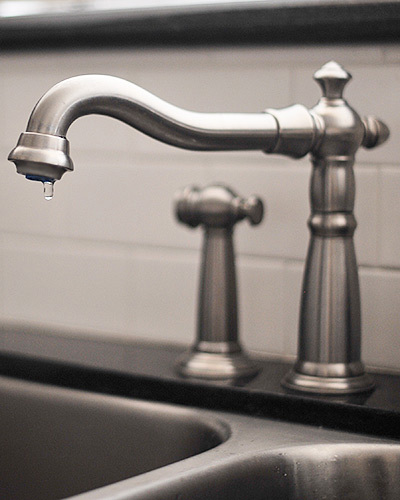 We repair kitchen plumbing problems with faucets, leaking supply lines, hot and cold water shut-off valves under the kitchen sink, and garbage disposal jams, leaks, or replacements. Installing a hot water heater or repairing one that has problems should be handled by an experienced plumber. Eagle Plumbing can install or repair your hot water heater with confidence. Dripping faucets, clogged showers, tubs, and sinks, toilets that will not stop running or flush, and sewer line problems can be repaired by Eagle Plumbing. Outdoor plumbing problems such as water leaks and water meter problems can be repaired. Eagle Plumbing is also qualified to repair water and sewer lines. Quote from Gus and Julie: "We have come to love Bryan, College Station, and the surrounding area so much that we want to give back to the community. Eagle Plumbing would like to offer a 10% discount for plumbing services in honor of our dedicated servicemen, service women, policemen, policewomen, firefighters, and teachers. Also, we would like to offer a 5% discount to all other citizens who do not fall in those categories. When you need a plumber, we hope you will call Eagle Plumbing. Please click on the discount button to the right for more information."